Wonder what the star ratings are in Post Planner? Our content scoring (star ratings) help you predict content performance whether from our default sources or your own. 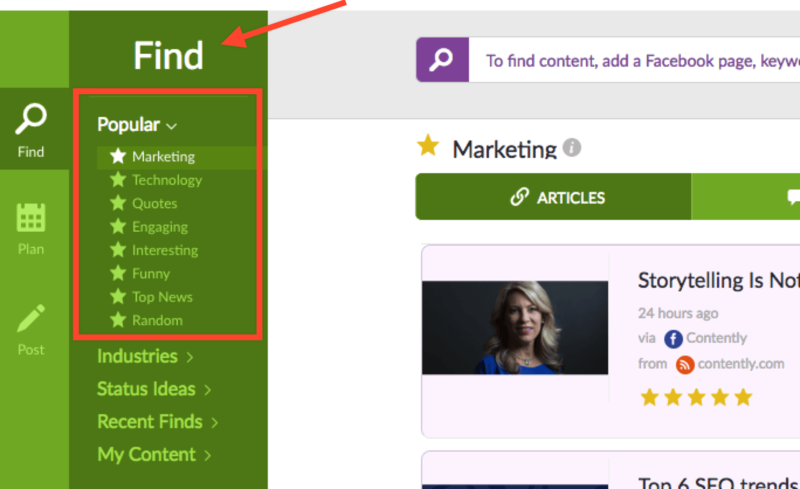 It's designed to help you see the BEST performing content first within each source or folder. How do the stars help you? Our star ratings make it easy to find and share engaging content that's already performed well across social media. 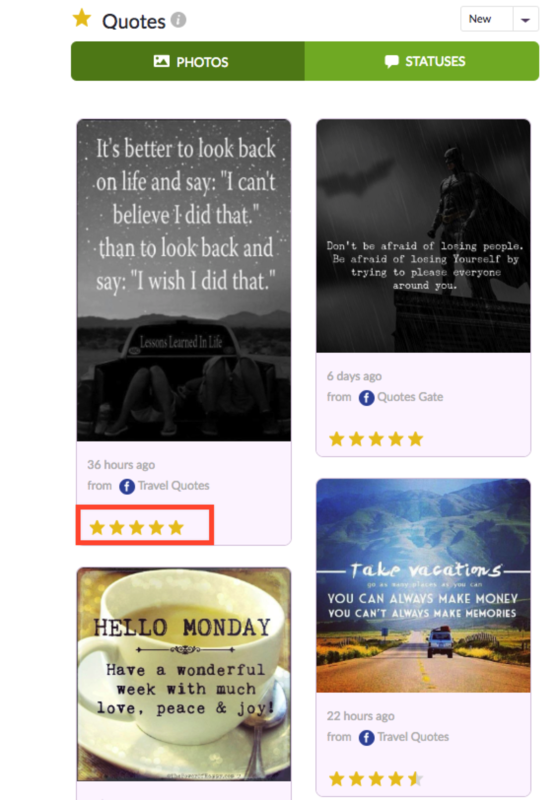 Just look for content with 3-5 stars and watch your comments, likes and shares SKYROCKET! Find or add your favorite content into your "Find" section. Then let Post Planner do the work for you. Now look to the stars. ⭐️ We recommend items with a 3-5 star rating to get the best engagement. The "Week" time frame is also a best practice to see newer content each week. 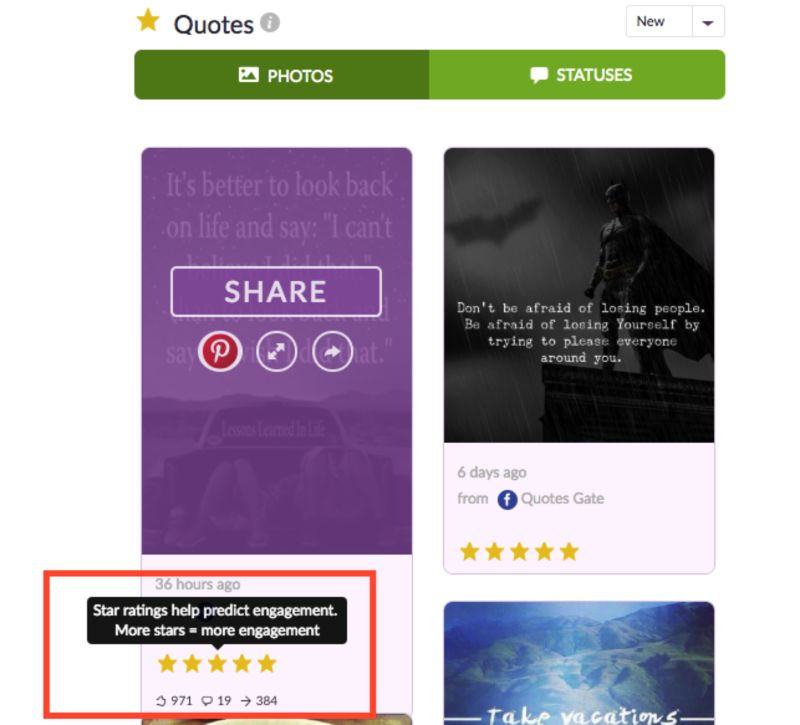 Hover over an image to see the raw stats, but just know that the actual engagement numbers are blended into the star rating. So they’re not really necessary to know — and they often distract people from the predictive power of the star rating. 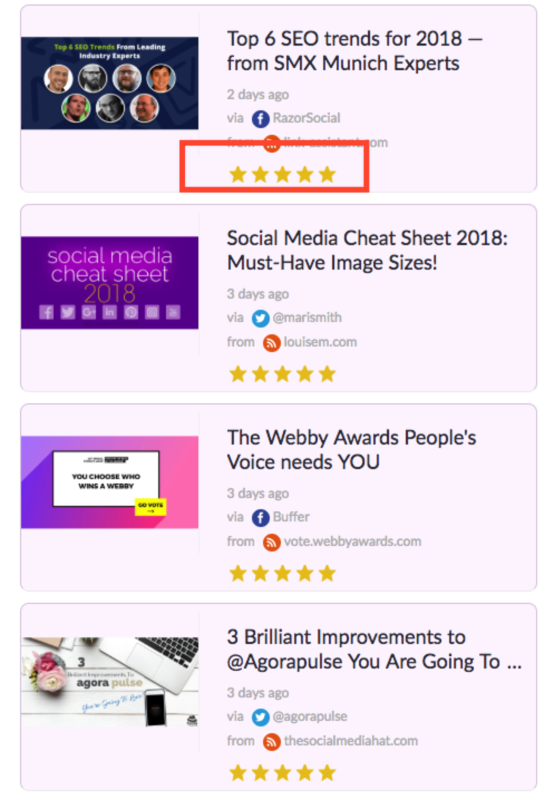 For example, if image A has 10k shares but 1 star and image B has 300 shares but 4 stars, image B is much more likely to outperform on your page, even though it has smaller numbers. Don’t get distracted by the numbers. Pay attention to the stars!